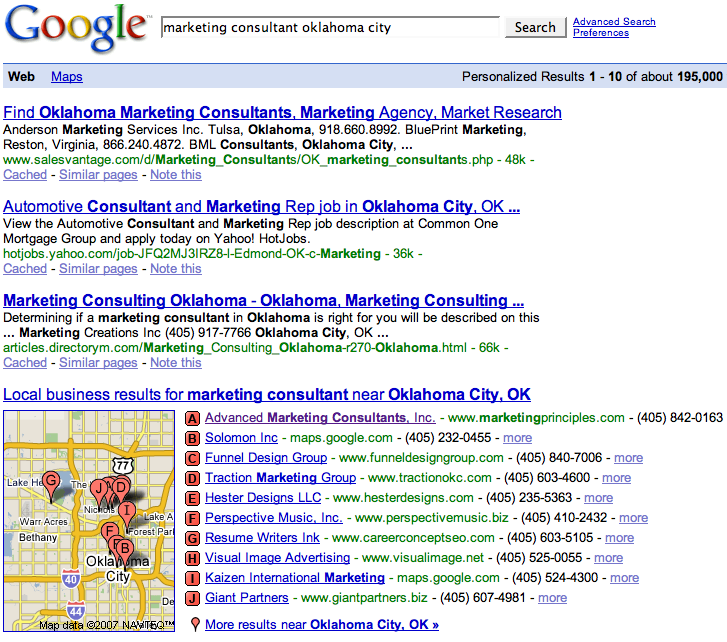 Google is now showing ten results for businesses under city, retail and service related queries instead of three. 1. 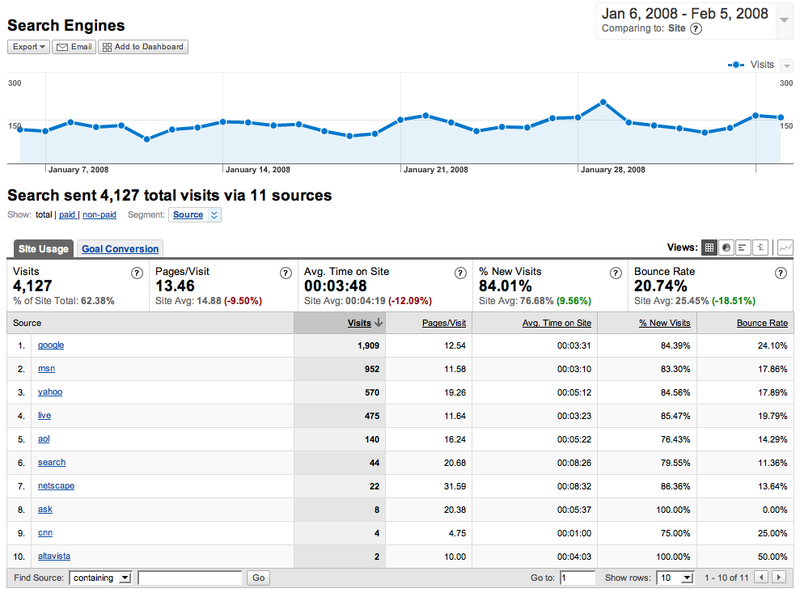 It provides local businesses more exposure in local related searches. 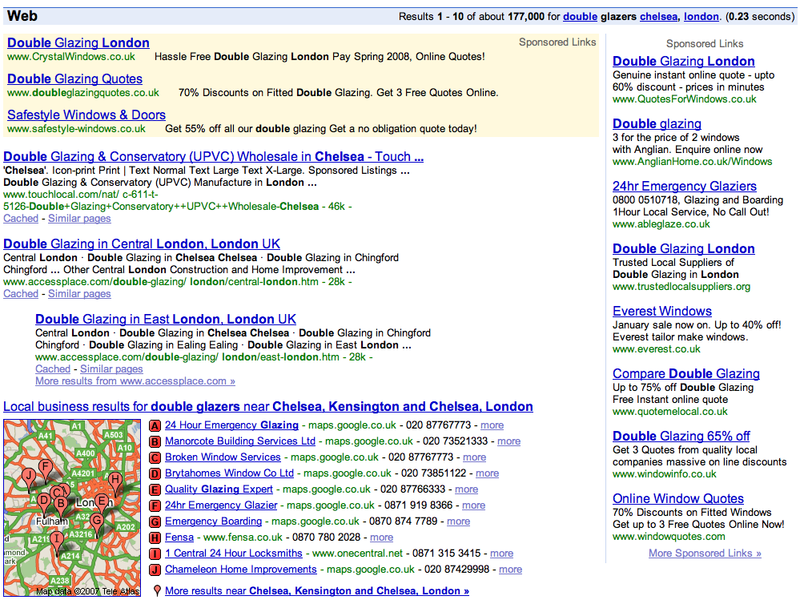 This in turn may aid Google’s efforts to generate more locally targeted advertising from retail and service businesses. 2. It reveals the lack of forethought shown by most businesses when it comes to choosing their free yellow pages category when ordering their phone line. If I had not spent years studying potential yellow pages categories for both mine and my client’s businesses, I too probably wouldn’t have given it much thought either. The data displayed under each query is only as informed as the person who placed the original order with the phone company. 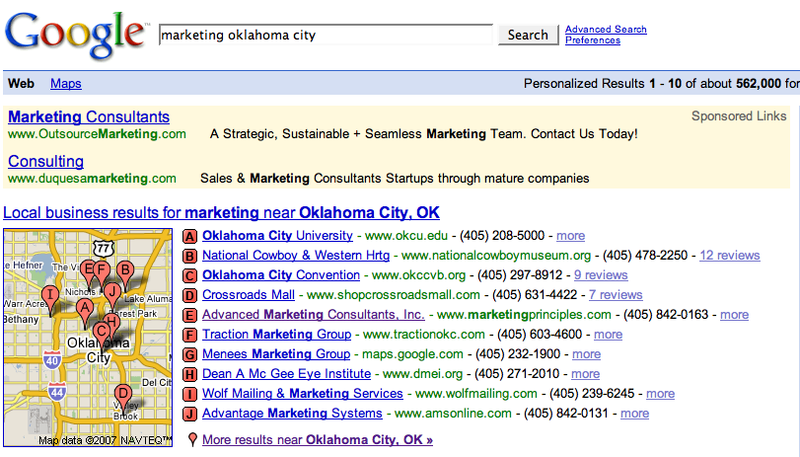 In the following example under a Google search for “marketing oklahoma city” you can see about half of the businesses listed are probably not in the business of providing “marketing” services in Oklahoma City. 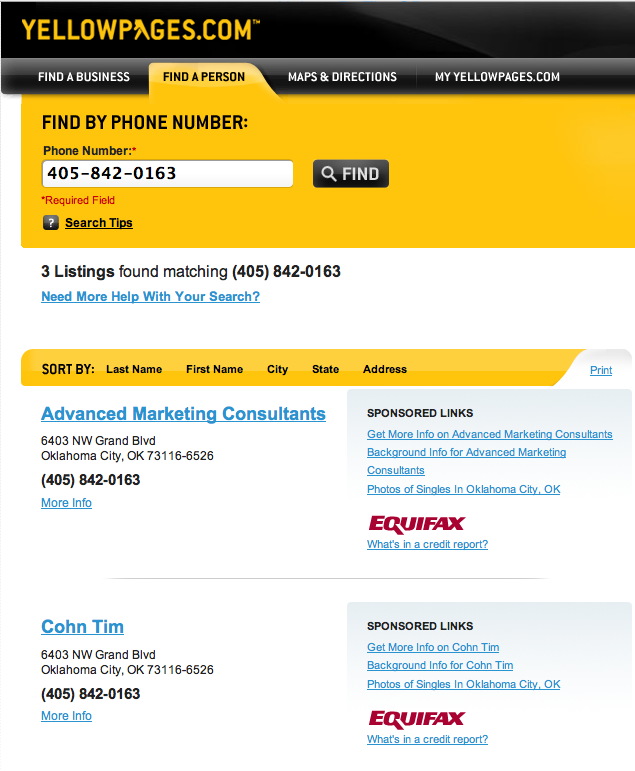 However, in a search for “marketing consultant oklahoma city” you can see nearly all of the businesses listed likely provide marketing consultant services in Oklahoma City. Fortunately my business listing – Advanced Marketing Consultants – appears within both searches today. 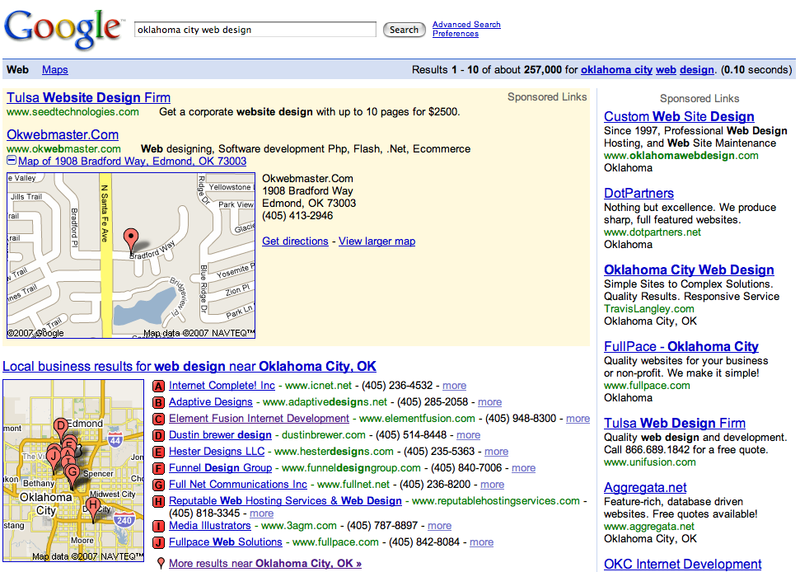 Yes, every business with a phone line will probably now appear in a local search result. One question remains – will their listing be shown to the right audience?